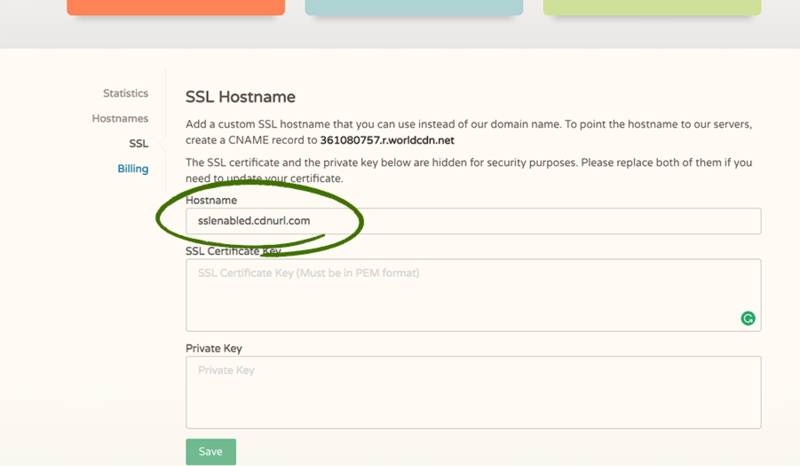 If you need to set up an SSL certificate for your custom CDN hostname, this article will help you with that. To add your SSL certificate with your custom hostname. There you will see one textbox for your SSL enabled hostname and two text areas, one for the SSL PEM bundle and one for the SSL key file. Once you click save, we will change your default CDN hostname to your custom SSL enabled domain, and you should be able to access https on your custom CDN URL.